Welcome to Nose Art Displays. I started this business in March of 2014 to pay tribute those who have served in the Military. 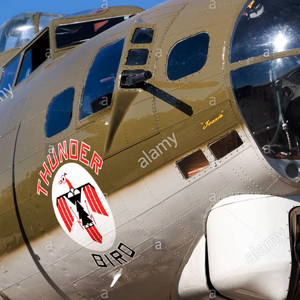 During World War Two, the Army Air Corp. which would eventually become the US Air Force would allow the crews of aircraft to paint Nose Art on their planes for a little bit of moral and to remind them of who they were waiting to return to back home. Over Europe they had some regulation, but in the Pacific Theater, they were known to get a little ‘racy’. 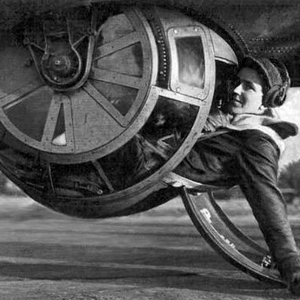 There are literally thousands of aircraft that were adorned with Nose Art, yet just an hand full remain. Some examples are in museums and a few others are privately owned, but for the most part, this form of art is limited to old photographs. As the air crews that flew and serviced these planes are getting into their 90’s and their children, the ‘Baby Boomers’ are in their 70’s now, this History is quickly fading. As the son of a Baby Boomer, a Veteran of the US Army (91st Division, 6219th from 1985-1989) and the great nephew of a belly gunner who lost his life in the war, I just want to do my part to preserve some history, by creating from scratch, reproductions of the fuselage panels of the great aircraft that had long since been melted down. As a child, I was always interested in World War Two Bombers and Fighter Aircraft and built my fair share of plastic models. As an adult, my interests turned to restoring classic cars and race cars. Now, it’s time for something different and I finally get to build reproductions of fuselage panels of my favorite aircraft as well as come up with interesting items to build with the polished aluminum and rivet, aircraft theme. My first project is the B-17 Flying Fortress fuselage panel as seen here on my website. I had seen some panels for Nose Art purposes, mostly fabricated by painters for their artwork. But they were missing the details that I enjoy recreating. Specifically, the bulkheads, often referred to as ‘Formers’ as well as the longerons and electrical, hydraulic, air and fuel lines as well as other details that one would expect to see if a panel had been removed from a retired aircraft. I figure, if someone is interested in having an expensive piece of art on their wall, it should look authentic, right? 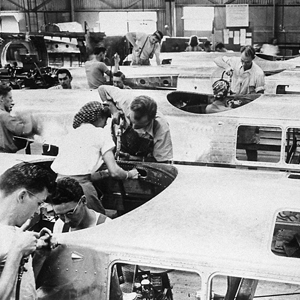 I did my research and realized that when these aircraft were made, thousands worked in the factories and the difficult to produce parts were made with expensive and massive tooling. I am investing all that I can to acquire the proper tooling to reproduce these difficult to reproduce parts as accurately as I can. Picture a piece of paper. if it was cut out in the shape of a smile, then bent at right angles, the paper ‘bunches up’. Well, with aluminum, this means that the material needs to be ‘shrunk’ with special tools, as well as hammered into shape, using a hardwood ‘buck’ as seen in the pictures of the B-17 panel. Additional lightening holes are punched and formed into the aluminum to not only lighten it, but give it more strength. Imagine that piece of paper again. It’s flimsy. But fold it as you would in making a paper airplane, it gets stronger with each bend. Same principal with lightening holes. The majority of aluminum surface that was not exposed to the outside airflow of an aircraft was usually filled with lightening holes. The wing spars, the fuselage formers, pretty much any flat surface they could add the holes to, they did. I learnt a lot in making the B-17 fuselage panel, and it’s ready to have the 1/4 or so of a window cut out cut, in a location that suits the Nose Art to be painted on the panel. My next project was the F/A-18 Hornet Name Panel. My inspiration was my long time friend, cycling team mate and retired USMC Fighter Pilot, Capt. John J. Rutherford. He served countless missions over the Middle East off of the USS Stennis Aircraft Carrier. He actually survived an Ejection in 2007 when his port side engine failed at take off and the valve that was supposed to allow the Starboard Engine’s hydraulic system to take over. With no control surface control, it was time to Eject with seconds to spare before the aircraft landed in the Ocean. He spent seven minutes in the water, before being rescued, thankfully his Martin Baker ejection seat saved his life. The experience was described to be as ‘as violent and powerful as anything imaginable’. Apparently the rocket motors that propel you out of the cockpit and away from the aircraft are serious business. Capt. Rutherford was one of the 4,400+ military pilots who can say that their lives were saved by a Martin Baker Ejection Seat. A member of a unique and rare club. He has two fine sons now, let’s just hope that they will have a chance to be pilots before the military switches to Drones! You can see a photo of Capt. 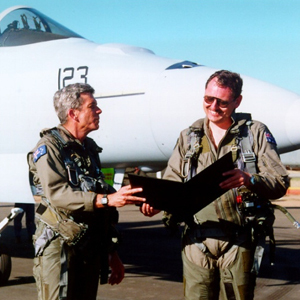 Rutherford on the F/A-18 Name Panel section of this website, with his oldest son, ‘Jack’. He’s even wearing Capt. Rutherford’s Air Wings. It was a gift that was happy to build for his family, so anyone who is a guest of their home has a memento of his brave service to the USA on his wall. Anyways, I used photos of his actual yet to get the proper shape and added some wiring, hydraulic lines and other details to the longerons and formers. I used a stencil cut from a local sign shop and painted the DANGER EJECTION SEAT warning triangle, his rank, name and the call-sign he earned, “MOFO’ which is a reference to him being a ‘Bad Mofo’ for surviving his Ejection! My next project was also inspired by Capt. Rutherford’s experience. 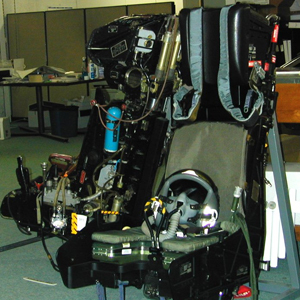 The Ejection Seat Office Chair. I have seen many Office Chair Ejection Seats on the market. pretty simple. Bolt the bottom of an office chair to a decommissioned Ejection Seat and presto. Done. Well, I’m not one to do things the easy way, and as far as I know I’m the only person in the world to actually start from the Office Chair and actually build an Ejection Seat. I have a few parts sourced at a surplus store, but the majority of the project is home-made. It’s a combination of some designs from the 1960’s in the F-4 Phantom and F-86 Saber era of Fighter Jets. I’m still adding little stuff to the chair as I come across them. My next product is the Paper Organizer. I figured that people always need a way to file their letters, photo, printer paper, etc plus that gave me an opportunity to make a LOT of lightening holes and practice some detailed alignment challenges that I wanted to challenge myself with. Plus there was a lot of polishing involved, and the finish is brighter than my B-17 panel. 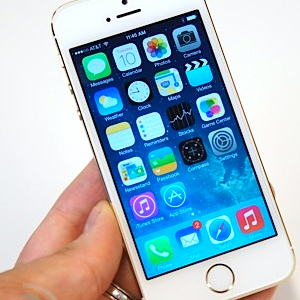 The next project is the Apple iPhone 5S cover. I figured, if I’m starting a business, I should have something in the polished aluminum and rivet theme on my person at all times. It’s actually a factory produced cover that I sanded, polished and added rivets to. I simply could not afford the tooling to produce this cover myself. The next project is the Mirror Frame. The mirror is a standard 12″ square mirror that you can pick up anywhere in the event that this one breaks. I know that military aircraft never had surfaces with lightening holes that were polished, but it’s a theme, not a rule. This looks amazing based on lighting, directional lighting really make the rivets stand out, it really turns peoples heads. I can add key holders that look like bullets as well as a shelf for your wallet or anything else you grab just before running out the door. My next project really isn’t for sale per say, it’s a way to advertise on a Toyota Highlander. Just a stock license plate frame and an aircraft themed three piece panel. A little more practice with my finger break tool. I can put the license plate frames for sale. My next project is the Office Lamp. Talk about lighting setting off the polished rivets! Especially if this is the only light source in a room, just beautiful! I have a friend who is friends with one of the biggest rock stars of all time. 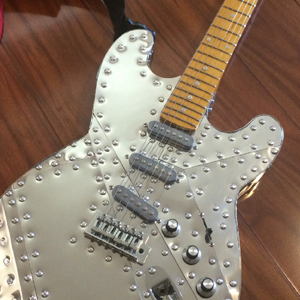 I took an Electric Guitar and skinned it with aircraft aluminum, round and flush rivets. It still plays as it did when I started and hopefully it will be on tour with him this fall. I will announce the name of the Rock Star as soon as it’s ‘Official’ The hip recess and elbow recesses are flush riveted. I used a Remove Before Flight banner over the strap and will probably make some guitar pics from aluminum as well. Going along with my iPhone Case, I wanted a wallet in the same style. So. I made one! I have sourced some different thickness aluminum square stock so a variety of number of credit cars can fit inside. I’m also making a money clip thats built in as well. 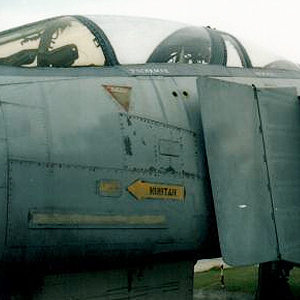 The next project I made is a canopy rail with name for a customer who was a Weapons System Officer on an F-4 Phantom Fighter jet and served in the Vietnam War. I went pretty crazy with this one since it’s for a Veteran, It measures over 5 feet long with hundreds of flush and round rivets and sixteen lightening holes! The next project I made is for a very big potential client. There are intellectual property issues, but I assure you, that this one can be a highly produced product, which will be seen by many! 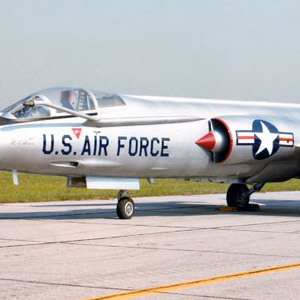 My next project is an F-104 Starfighter panel. I really enjoyed this early history of jets, the planes flown by Chuck Yeager and many of the US Air Force pilots who were selected to be the first NASA Astronauts. I even added a sleek recessed foot step that is spring loaded. kick your foot in, step into the aircraft and as your foot pulls out, the door closes flush with the fuselage. LOTS of flush rivets and of course proper formers and longerons, painted matte black on the back side. My next project is a full line of Restaurant Accessories like Drink Coasters, Server’s Bill Books, Napkin Dispensers as well as aircraft skinning bathroom doors, bathroom stall dividers and urinal dividers. There is a great group of restaurants that are located at or near airports who already have an incredibly stong aircraft theme, I’ll mention their name once things get finalized with them. 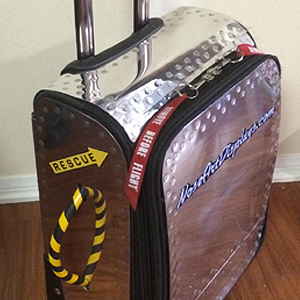 My next project is the Carry On Bag, which I use to advertise my business when I travel. It’s quite shiny and gets a ton of attention, especially with pilots. It passes TSA’s security rules and fits in the overhead compartment, so it’s a rolling sign for me! My upcoming projects include a 5’5″ tall polished aluminum Missile. A Coffee Table, and several other items that are kicking around in my head. Some of the aircraft that I admire and want to pay tribute to in the future are the North American P-51 Mustang which seems to be everyone’s favorite World War Two Fighter, as well as some of the more unique aircraft, like the Bell P-39 Aircobra, the Bell P-63 KingCobra, the Grumman F6F-3 Hellcat, the Curtiss P-40 Warhawk that was made famous by it’s Shark Mouth Nose Art, the republic P-47 Thunderbolt, the Supermarine Spitfire, the Vought F4U Corsair with it’s distinctive ‘Gull Wings’ which gave more room on Aircraft Carrier Decks, the Grumman F7F Thundercat nightfighter, the amazing Northrup P-61 Black Widow, the great heavy bombers like the Boeing B-17 Flying Fortress, the Boeing B-29 Superfortress which dropped the Atomic Bomb, ending the war, the Consolidated B-24 Liberator, and the list goes on and on!